Um, do you feel that…? 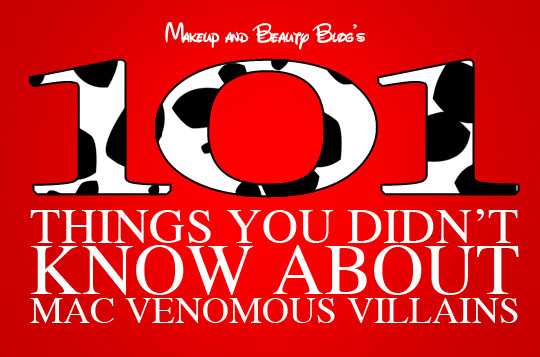 In what turned out to be the BIGGEST post I’ve ever written for the blog (so big, in fact, that I suspect the server may crash), here are 101 things you probably didn’t know about Disney and the upcoming MAC Venomous Villains collection (but certainly will now). The collection launches in the U.S. on September 30 and internationally in October. 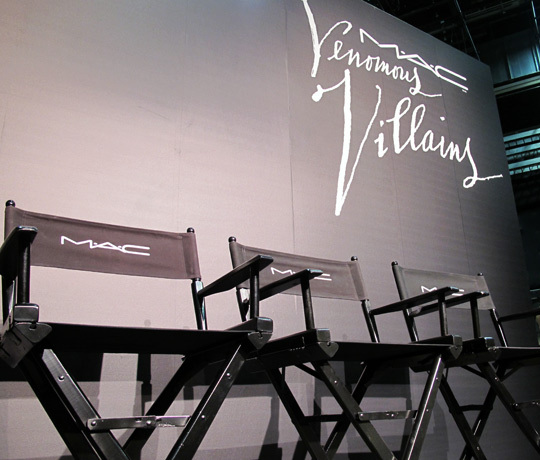 When designing the four Venomous Villains sub-collections — The Evil Queen (as far as we know, that’s her stage name) from 1937’s Snow White and the Seven Dwarfs, Maleficent from 1959’s Sleeping Beauty, Cruella de Vil from 1961’s 101 Dalmations and Dr. Facilier from 2009’s The Princess and the Frog — MAC based the color stories on the original Disney character sketches and Pantone color guides. 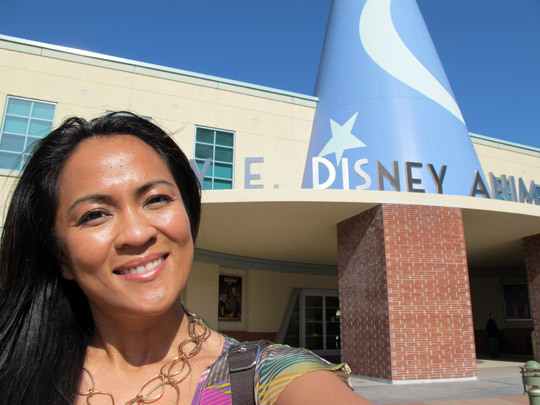 They took it all into consideration — the attitudes of the characters, their skin tone, clothes and style — and not just the colors Disney used to ink them. As a lifelong Disney fan and art fanatic, I’ve been looking forward to this collection for months! MAC could have gone the safe route with this collection. In collaborating with Disney, they could have chosen to base the new products on beloved characters like Cinderella and Ariel, but they had something darker in mind — villainy. It’s a HUGE collection, too, with something for everyone. Feeling fantastically creative? 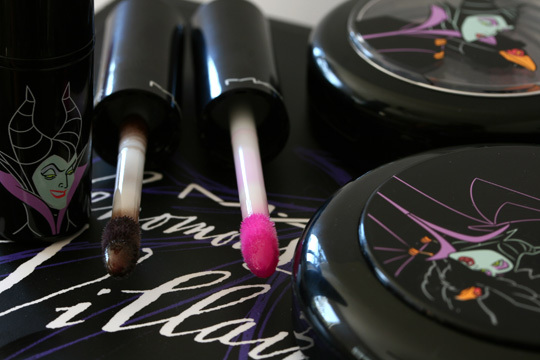 Consider Maleficent’s makeup, which features plenty of purples, blackened shades and pearlized nails; or Dr. Facilier’s collection, with its more vivid shades. In the mood for something less dramatic? 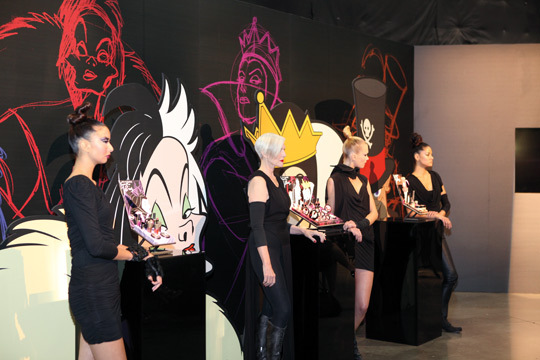 Check out the sets for Cruella de Vil or the Evil Queen. 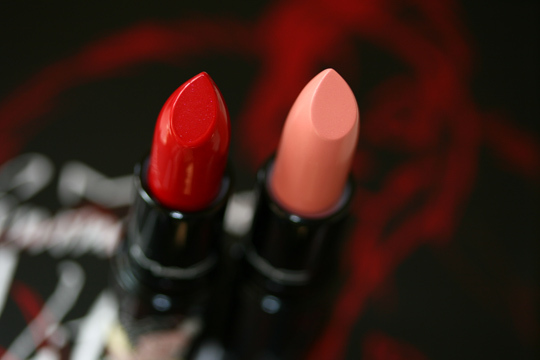 Both offer many products built for classic looks (like red lips). 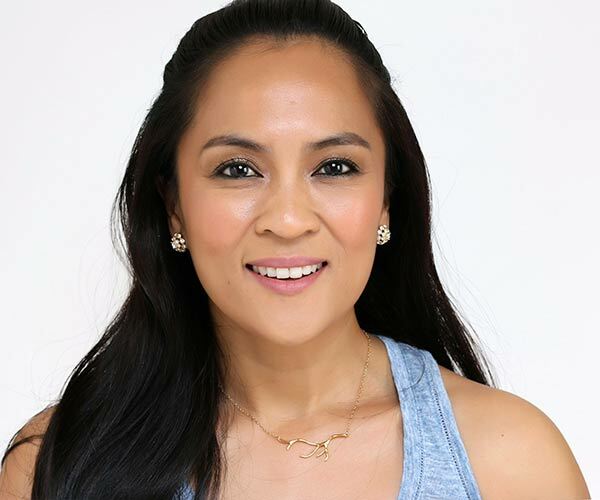 MAC incorporated modern runway makeup trends with a dose of the 1980s — strong brows, lips, eyes and cheeks — with no particular feature dominating the others. It’s a powerful look, yet one that remains pretty. 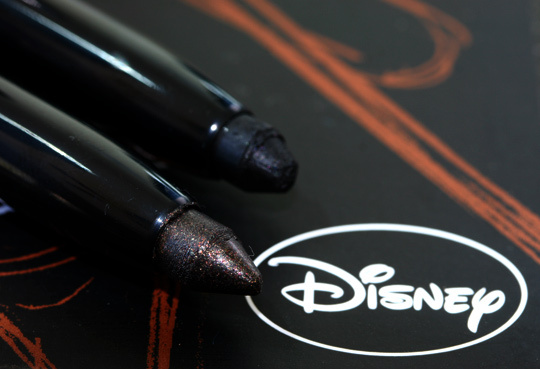 Besides a penchant for evil-doing, these Venomous Villains also love strong, powerful brows. 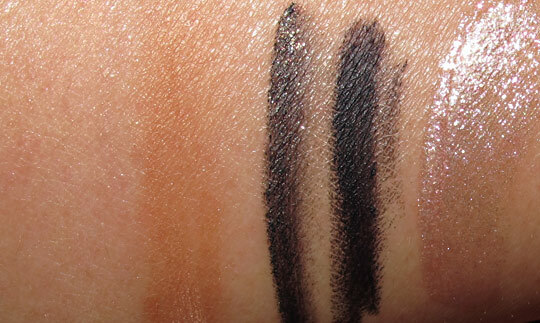 To get the look, try using MAC’s Penultimate Brow Marker to draw brows into a dramatic shape. Plus, the long-wearing formula lasts up to 12 hours. Venomous Villains wasn’t a spur of the moment idea, either. 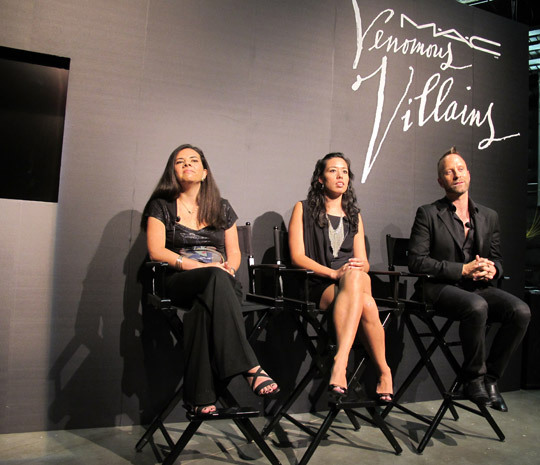 MAC Creative Director James Gager said the idea percolated for seven long years. 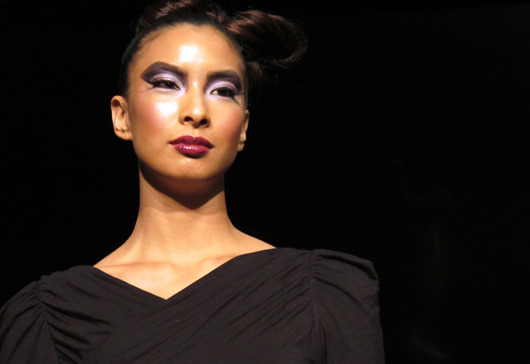 MAC Director of Makeup Artistry Gregory Arlt’s challenge was to create animation-inspired looks in step with today’s runway trends and in sync with what real woman want to wear. For the Dr. Facilier look, Gregory considered the doc’s facial expressions, his demeanor, and his mustache. He envisioned the dark lines of the mustache as strong lines around the eyes and brows drawn with chic eyeliner. The goal was to create a look that reflected inner power, and for many of the products he chose colors like bronze and gold. 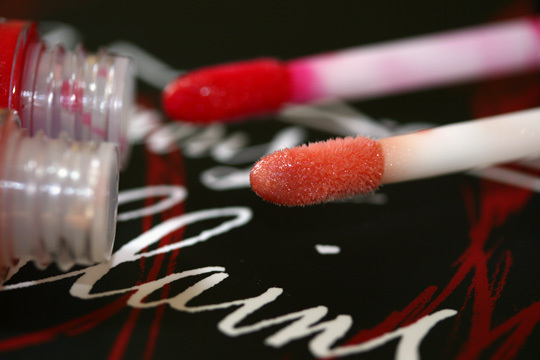 To add dimension to lips, apply a generous amount of Resort Life Lip Gelee to the center/middle of both lips, on top of any other lip products you might be wearing. 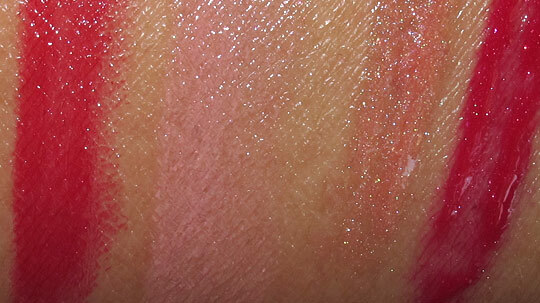 The texture feels creamy, not sticky, and it bestows a pearly sparkle and shine. 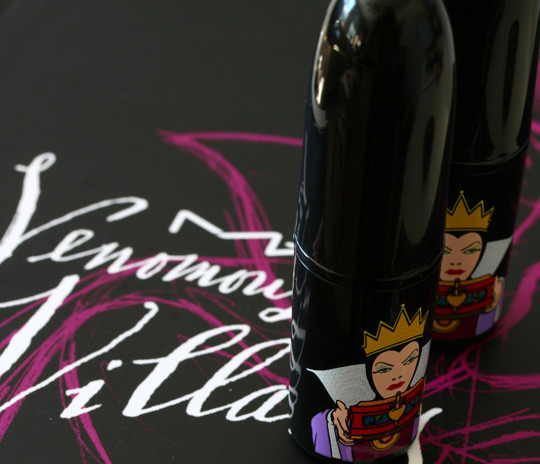 For the Evil Queen, the ’80s makeup and burgundy lips seen on the runways at last fall’s Fashion Week served as Gregory’s inspirations. The Maleficent look go-go’s back to the ’60s. 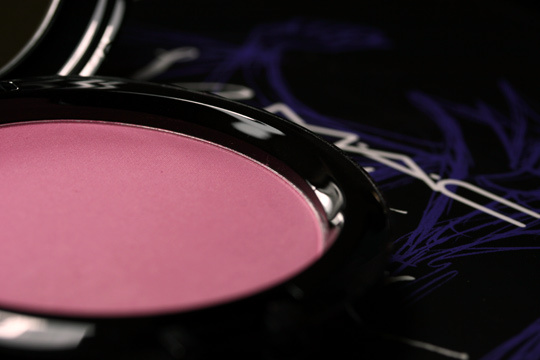 Gregory’s tip: for a quick wash of color for the eyes, take a fluffy brush like the MAC 224, and apply Maleficent’s Baked Eyeshadow. 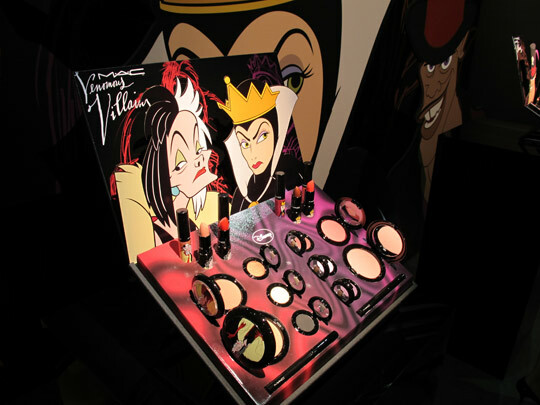 MAC sought to take full advantage of purple in the collection, as three of the four villains feature the color (Cruella doesn’t). They wanted to maintain a cohesive color theme that remained distinct for each of the characters. 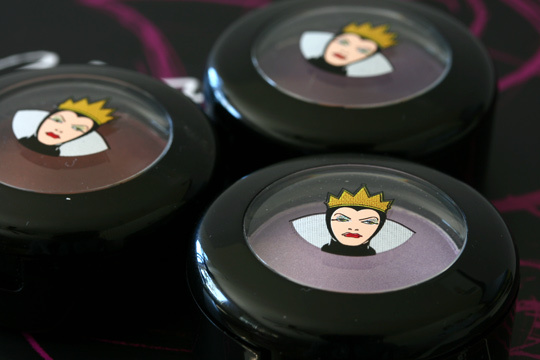 For Maleficent, they went with cool plums; for the Evil Queen, warm, smokey plums. 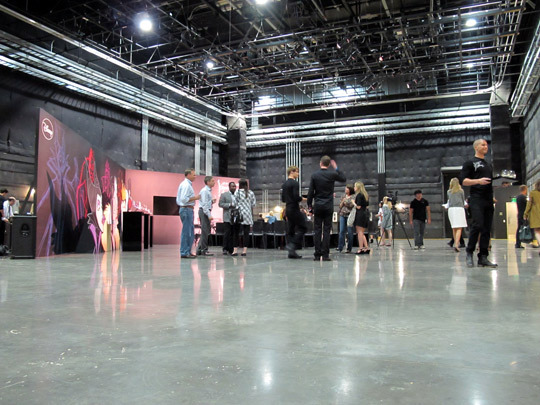 With Dr. Facilier, they choose to go with brighter shades of purple. Strong textures and intense colors play a big role in the entire collection — lots of creamy satins and full intensity colors. 10. Um, that’s a lot of artwork! The Roy E. Disney Animation Research Library in Los Angeles, where many of the original drawings MAC used to create MAC Venomous Villains reside, houses some 60-65 million (!) individual pieces of artwork. Disney keeps everything, sometimes referencing a drawing years later for creative purposes or problem solving. The Evil Queen, from 1937’s Snow White and the Seven Dwarfs, was the first villainess to star in a full-length, feature motion animation picture. 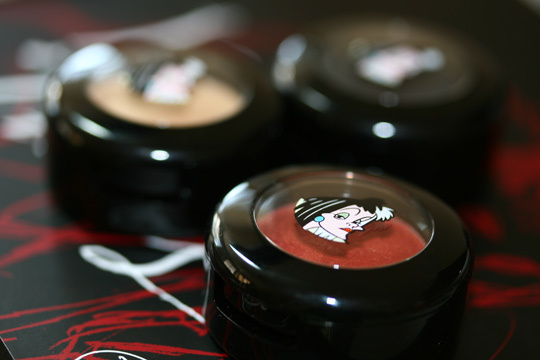 The peach shade in the Evil Queen’s color story came from Disney’s original drawings of her. 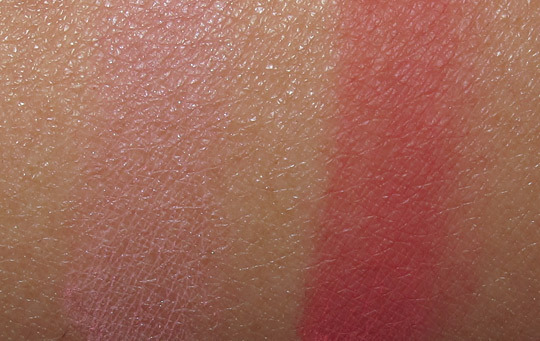 In the pictures, her lips are comprised of several shades; MAC picked the lightest one — a peach. The smokey purples in the rest of her color palette were inspired by the Queen’s nightmarish capes and robes. 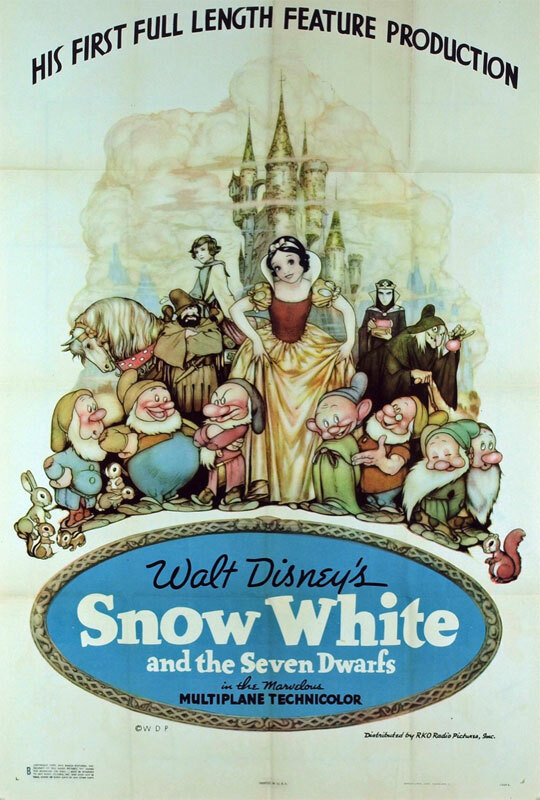 Snow White holds titles for a number of firsts. It was the the first full-length cel-animated (the old-fashioned way of animating) feature in motion picture history, the first animated feature film produced in the United States and the first movie produced by Walt. Luckily, he disagreed; Snow White is one of the top 10 highest grossing American films of all time. 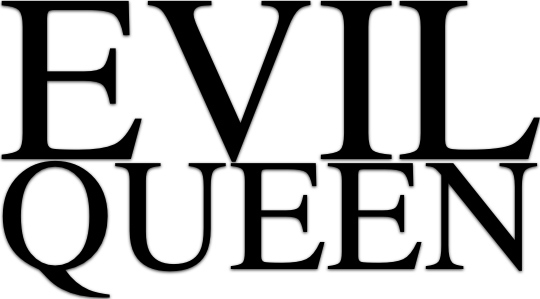 The Evil Queen ranks 10th in the American Film Institute’s list of the 50 Best Movie Villains of All Time, and she’s the highest-ranked one who’s animated. Just how bad is she? In an alternate cut of Snow White, she captures the Prince and holds him captive in her dungeons, where skeletons dance around and torment him. 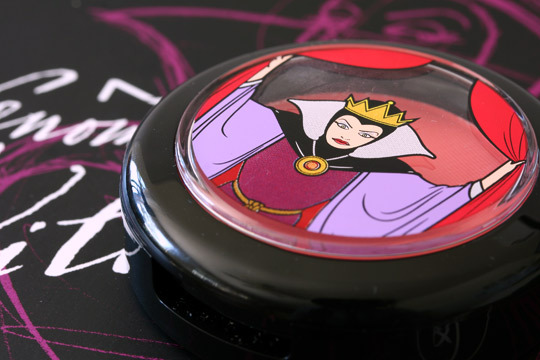 Oh So Fair Beauty Powder, one of nine pieces in the Evil Queen collection, should be able to be worn well by women of all skin tones, but MAC Director of Makeup Artistry Gregory Arlt says it’s really great for pale skin — especially when worn as a cheek blush, where it delivers a “lit from within” look. 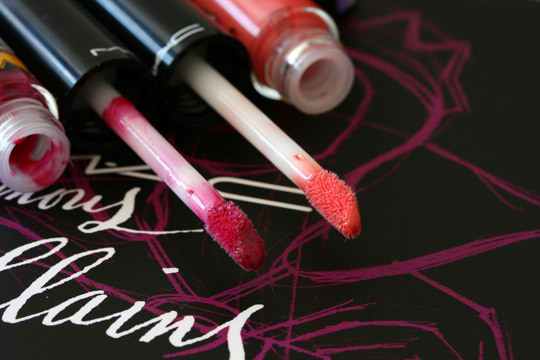 Pair it with a strong, dramatic eye and mouth. 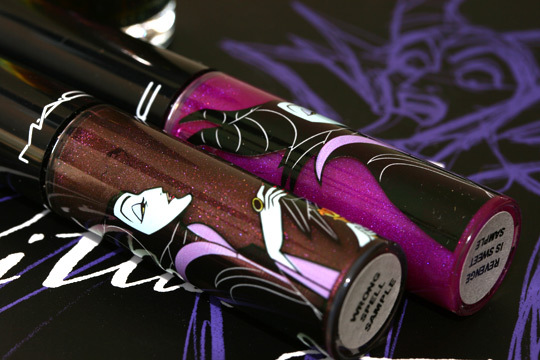 MAC calls Maleficent’s (aka the self-proclaimed “Mistress of All Evil”) collection the “fantasy” color story, with its fun, striking, intense shades. 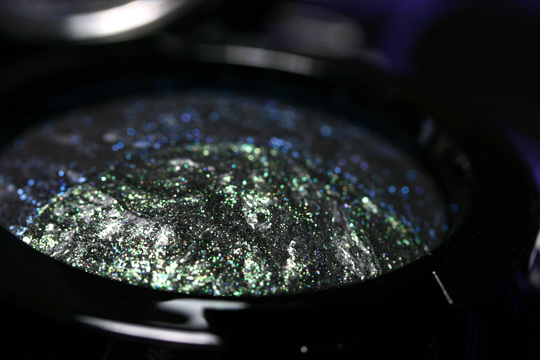 To reference her signature green skin, MAC included two Mineralize Eyeshadows with green tones. During the earliest stages of the creative process, animators will try anything to flesh out a new character, exploring and refining different designs until they discover the final one. Early drawings of Maleficent looked wildly different from the final version seen in Sleeping Beauty. In some of the early versions she had bug antennae; in others, a bat headdress. Eventually, Disney artists decided to go with Maleficent’s signature horned hat. Also in those early sketches, Maleficent’s robes were red. Animators settled on purple and black to better fit the background color palette of the film. Walt Disney wanted Sleeping Beauty to be Disney’s most beautiful film to date, and he wanted it to contrast with the two previous fairy tale features, Snow White and Cinderella. 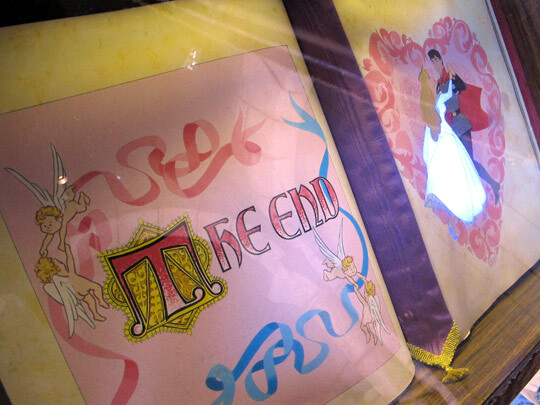 The animators wanted the film to look like a cross between a medieval tapestry and popular ’50s art. The artwork was more angular than that of the first films — which was perceived as more elegant and sophisticated than the earlier rounded shapes. 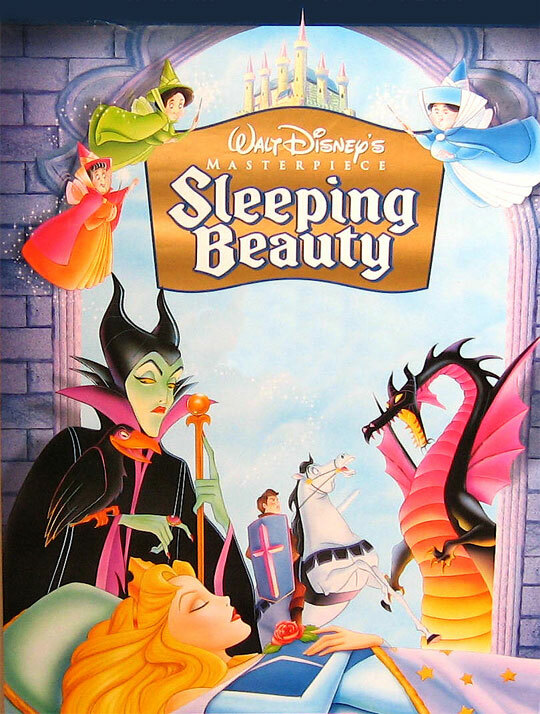 Sleeping Beauty was the last fairy tale produced by Walk Disney, although after his death, the studio returned to the genre with 1989’s The Little Mermaid. It was also the last Disney feature to use hand-inked cels. 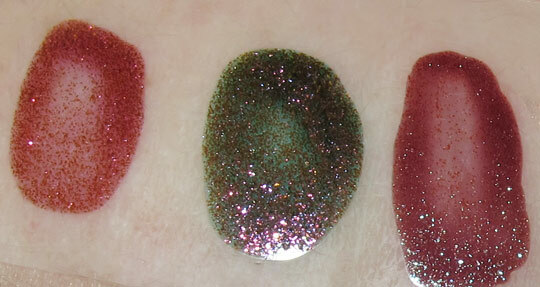 Nail Lacquers from left: Bad Fairy, Dreamy, Formidable! 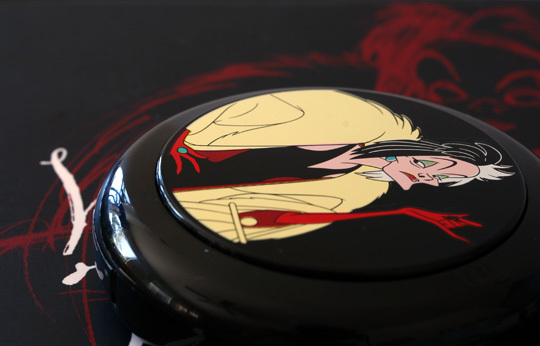 The color story for Cruella de Vil (a play on the words “cruel” and “devil”) was inspired by her signature red. 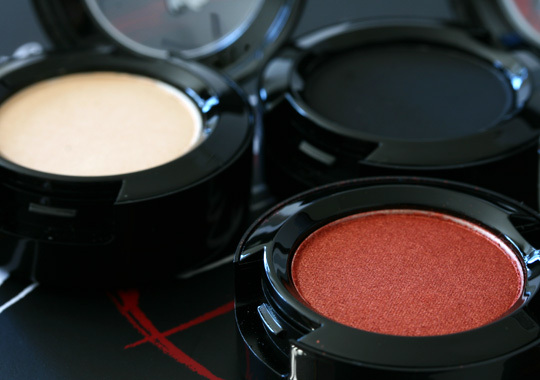 To strengthen the theme, MAC even included a blackened red eyeshadow. 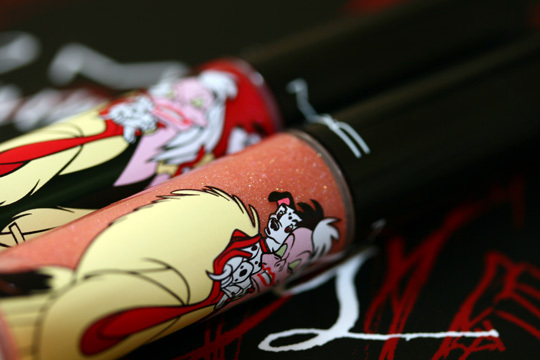 MAC says Cruella’s was the most difficult of the four color stories to create. They didn’t want to be too obvious and simply copy her green eyeshadow, so they dug deeper into her character instead (hence the reds). 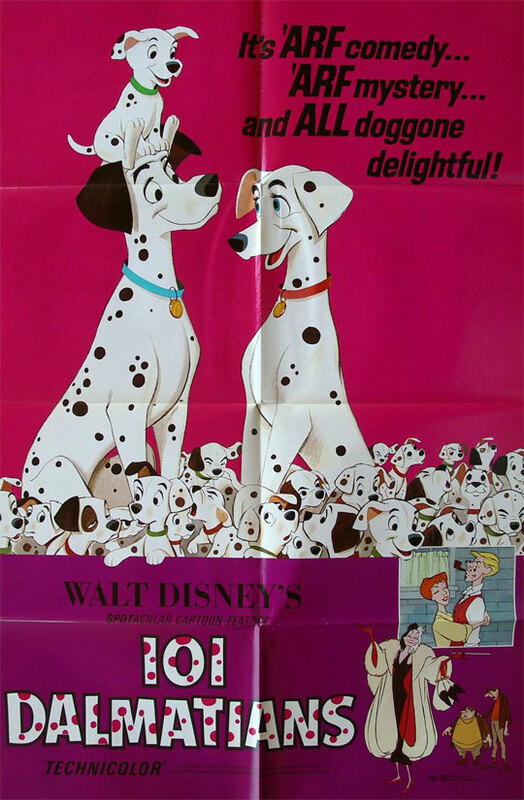 101 Dalmatians, released in 1961, was Disney’s first film set in modern times. It also marked a change in the Disney style of animation, as the studios started experimenting with Xerox photography to accelerate the process. 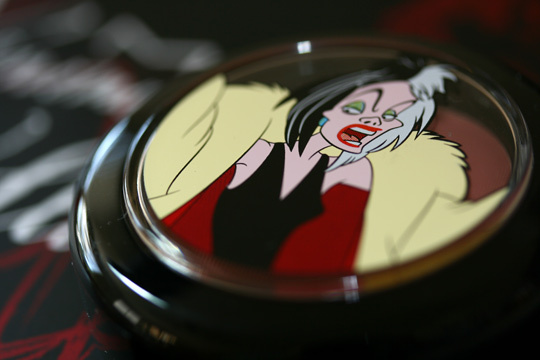 To reflect the look of modern, overcast London, Disney used a grayish color palette (Cruella’s color palette in the film has gray tones in it) for the backgrounds and scratchy pen-and-ink style drawings, which were hallmark looks of British cartoons at the time. 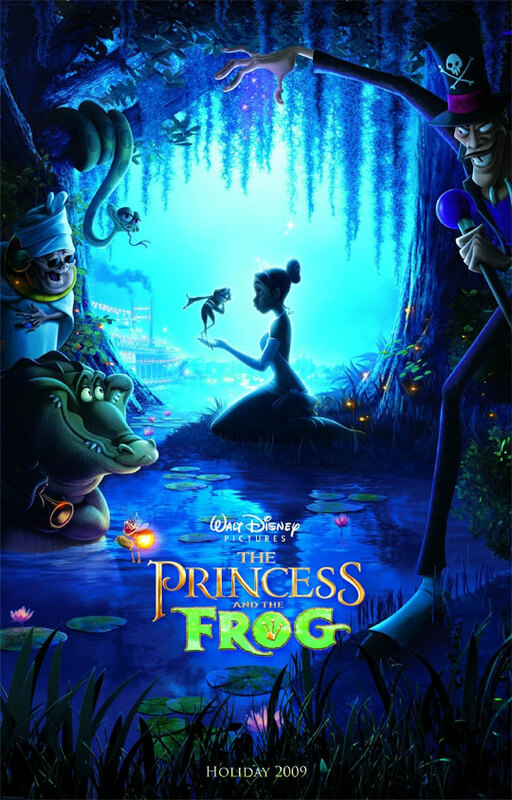 Dr. Facilier is the newest/youngest of MAC’s Venomous Villains, introduced in 2009’s The Princess and the Frog. 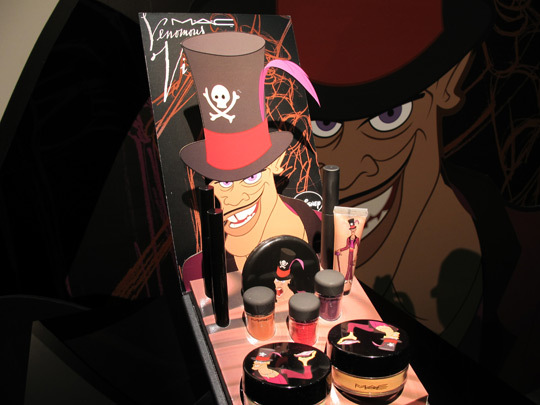 To coincide with their motto, “All Ages, All Races, All Sexes,” MAC added Dr. Facilier to the Venomous Villains roster. Like all of Disney’s villains, Dr. Facilier’s character underwent many rounds of discovery and redesign. He originally was a bald man with an ear piercing and a double necklace made of teeth. He was also originally known by a different name, a Dr. Duvalier, but the name was changed to Dr. Facilier when Disney discovered a real life voodoo practitioner of the same name (ha!). The name is based on the word “facilitate” — because he makes things happen. 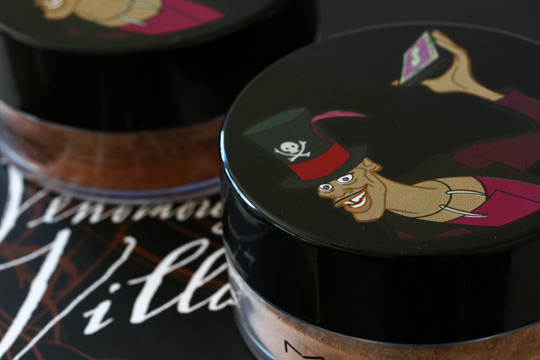 If you wear warm shades well, then you might like Dr. Facilier’s makeup, with its warm ambers, reds and purples. 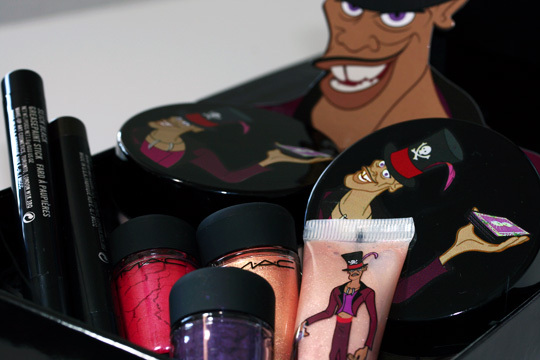 MAC introduced a completely new product in the Dr. Facilier collection called Magically Cool powder. 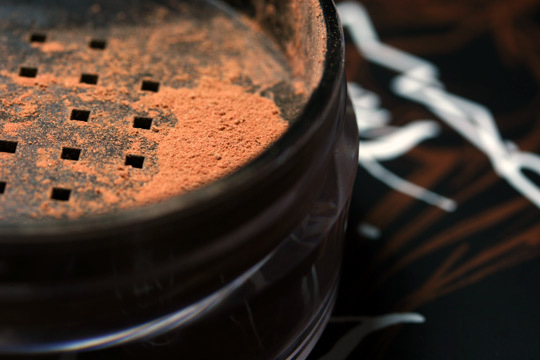 Since the powder contains 70% water, it creates a cool, refreshing sensation on the skin. 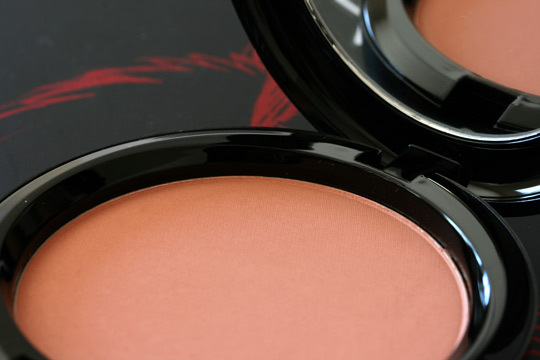 Wear Magically Cool under makeup for a luminous look, atop foundation to set makeup, or on naked skin to add dimension. Well, what do you think? Are your eyeballs intrigued or tired? Seriously, sorry about the monumental-ness of the post, but I didn’t want you to miss a thing! There are 170 comments on this post. Leave yours. 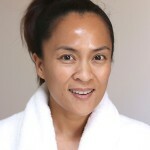 Previous Post: Are You Getting Fresh with Me, Supernova Radiance Brightening Pen? 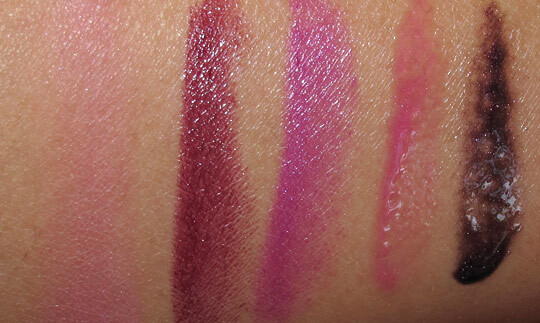 Lipstick in Violetta MUST BE MINE! OMG so hot! 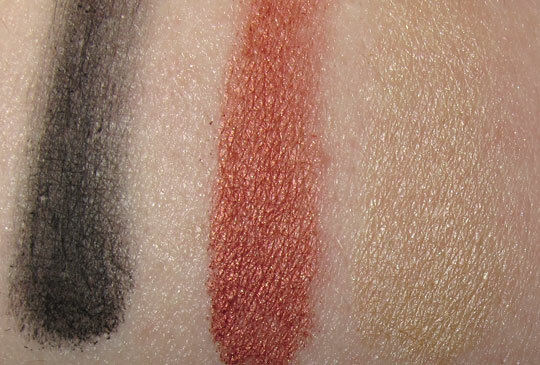 Thank you for the sneak peek and all the swatches! HOLY SHIZ!!!! I now understand. Now back to reread the post so I can comment properly. LOL! You and I have to get together soon so I can properly enable you. OMG, what a post! What an amazing sneak peak. Wow Karen, you have outdone yourself! The colors are making up for the packaging. 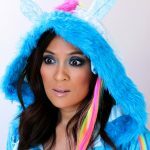 Thank you for this blogaroo! You’re welcome! What are you thinking about checking out? Amazing post, it must have taken you all day! It was a lot of fun to write. Glad you enjoyed it! wow, great info. I want resort life. LOL, I take it you like the release? oh man. This is the first collection in the past couple years where I want almost everything… It is going to be so hard to narrow it down (for the sake of my bank account)! Hey, at least you’ll look great! 🙂 Which of the collections is your fave? Wow.. This made me so much more excited about the collection than I was before! I’m considering skipping alot of Fabulour Felines so I can get more of this collection.. We’ll see! Watcha got your eye on? Maleficent is awesome. 🙂 I shall be spending large amounts of money on her collection. 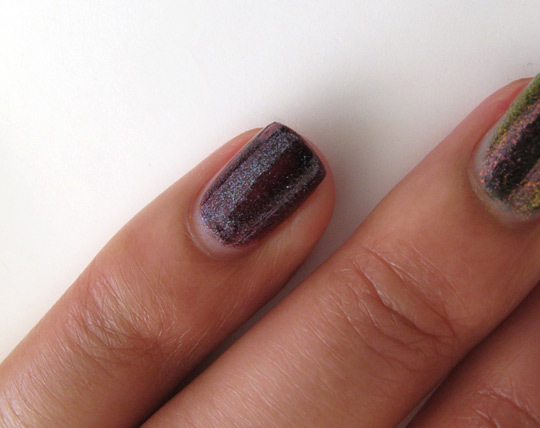 Maleficent rocks, especially the polishes and Revenge is Sweet lipglass. 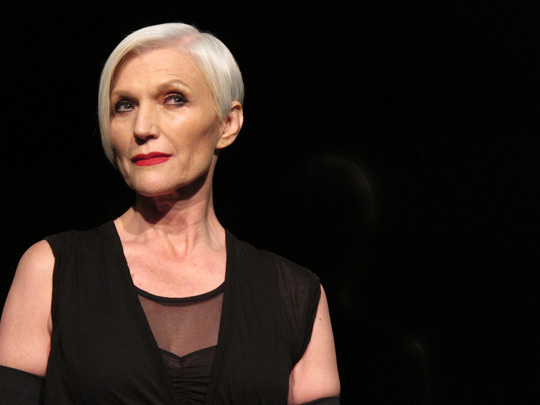 also, i freakin love the woman who plays cruella de vil! 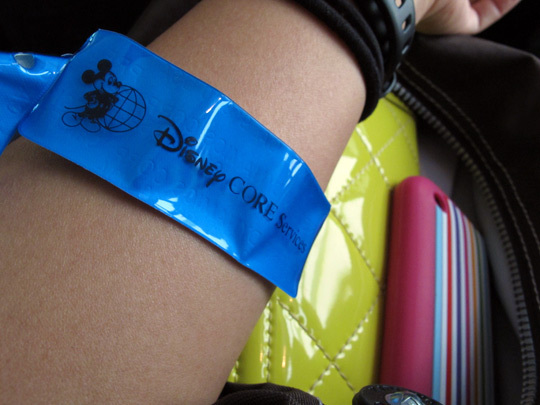 my dance group did a competition in long beach a few summers ago and we went to disneyland for some down time. anyway, we wanted to take a picture with her and we had one good one. but we’re all “photo whores” so we wanted to take one more. and right when the photo was taken, she flipped her coat out and covered most of us. but of course, she looked fab! haha! i love that photo! You know what’s sad? I knew most of the facts you pointed out about Snow White and Sleeping Beauty (I watched all the extras on the DVDs. Yep, I’m THAT weird). 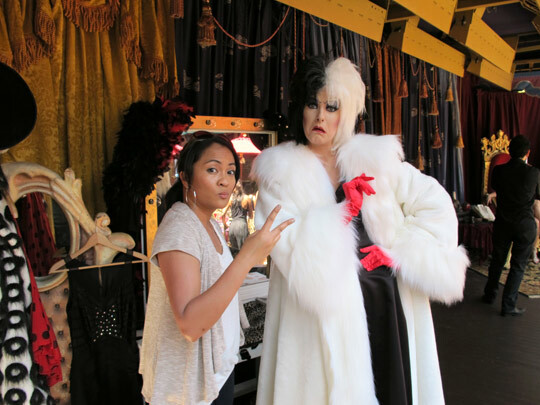 Did you know that Cruella de Vil used to terrify me as a child? I was never afraid of Scar, but I was terrified of Cruella. I had a skewed perception of evil as a kid, I think. Who is you favorite villain, Karen? I have a soft spot for Cruella, because the very first Disney movie I watched as a kid was 101 Dalmations ! My first Disney movie I remember seeing was 101 Dalmatians when it rereleased in 1991 (I was 2 and I vaguely remember the theater). The next one in the cinemas I remember is The Lion King. My favorite Disney villain is Maleficient. She’s purple, green and turns into a dragon. It doesn’t get better than that. Her voice gives me chills. She’s one of the least active villains, yes, but still my favorite. #89 – cause that what you were born to do? 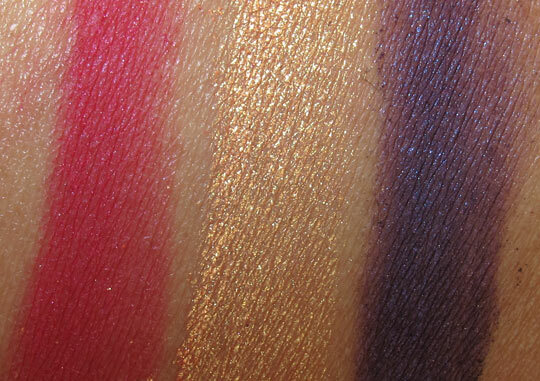 I can’t stop looking at these swatches, I am mesmerized! Ha ha! I wonder what ever happened to Kris Kross. Karen, thank you so much for this epic post!!! Happy Sunday, Elizabeth! I can’t believe the weekend is almost over. Happy Sunday! See anything you like in the collection? 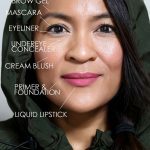 Rae recently posted … Keeping us dry- The Body Shops DeoDry line! Woah, I wasn’t really that interested in this collection until now…Thanks for the preview! Now I’ll have to work on a shopping list. You’re welcome, Jenn. What are your fave pieces from the collection so far? Such a giant post of fun! Thank you so much for this. 🙂 I looooove the lipstick, Sinister. Sinister is bee-you-ti-ful in person! I hope you try it on and love it. her alter image and vainglourious are gorgeous! Those are really pretty! 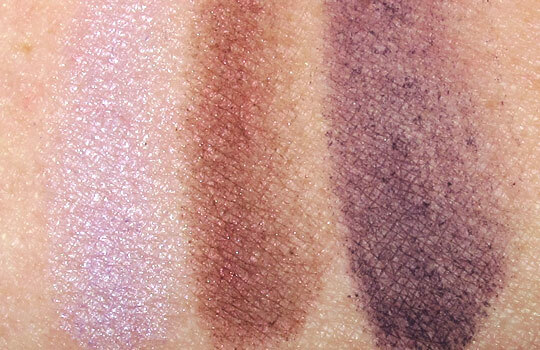 Do you think you might swatch ’em in person? Awesome post! 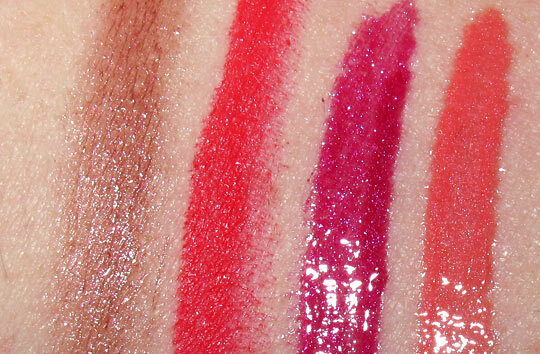 I’m loving those swatches… especially the lipsticks and pigments. 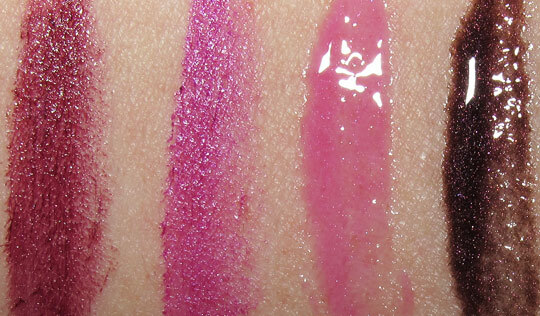 I might NEED Toxic Tale, since it’s the perfect shade of sheer pinky coral. 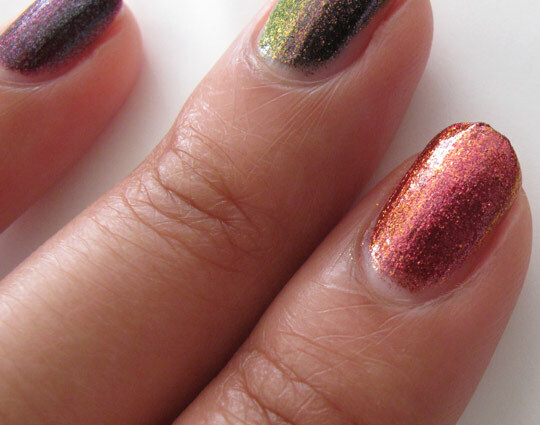 And I’m loving those Maleficent nail polishes. Good grief, there are wayyyyy too many things in these collections that I’m loving. SO COOL! The nail polishes are definitely some of the stand outs in the release. 🙂 Which color is your fave? FABULOUS POST!! loved it!! thanks for all the info~~!! LOVE Toxic Tale! I bet it would look really pretty paired with a cat eye. Such a detailed post! I definitely can’t wait for it to be released! What products are you most excited about? AMAZING post! Thanks so much for all the information… being a Disney fanatic, I’m most exciting about the packaging- I need at least one item from every villain. Which ones did you like the best? 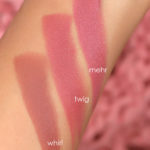 I’m loving the Hot House lipglass but also Wacked Waya.. I can’t decide!!! Wow! 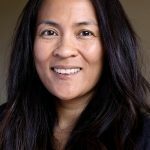 Karen – amazing photos! I’m bookmarking this link. I need more time to let it all sink in. Looks like there are definitely some amazing colors coming out. I’m not a fan of the packaging though. I know it’s Disney – but it just seems so childish. Won’t stop me from getting a few things. 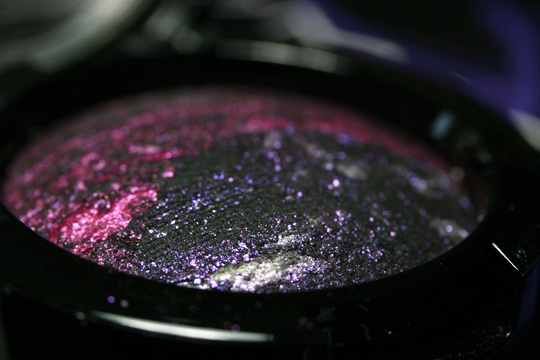 I have my eye on those mineralize eyeshadows. Thank you for an amazing review/swatch post! The packaging is something you either love or don’t love, I guess. The Mineralize Shadows are so fun! The Maleficent collection looks magnificent, which makes me doubly happy because Sleeping Beauty is one of my favorite Disney movies! Those purple shadows look so fun! 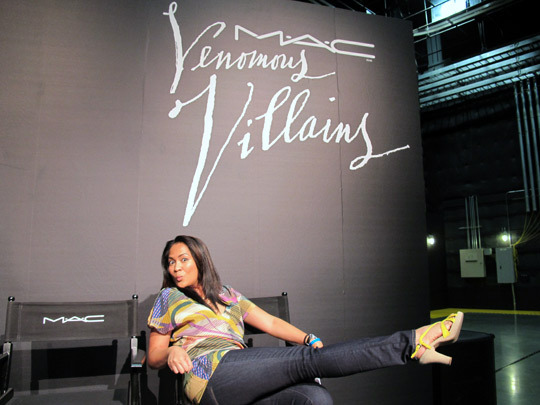 Karen, you are so lucky that you got to play with the Venomous Villain collection! I’m fanning myself, those nail polishes and packaging art is HAWT!!! Sure, Anita. 🙂 Which of the collections is your fave? Awesome post !! Thanks so much. 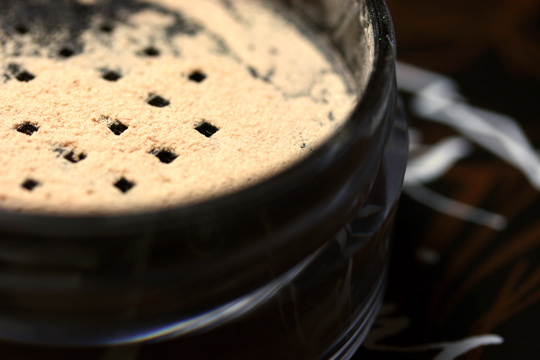 The magically cool powders sound almost exactly the same as the old Px magic powders. I wouldn’t be surprised if they shared similar technology! 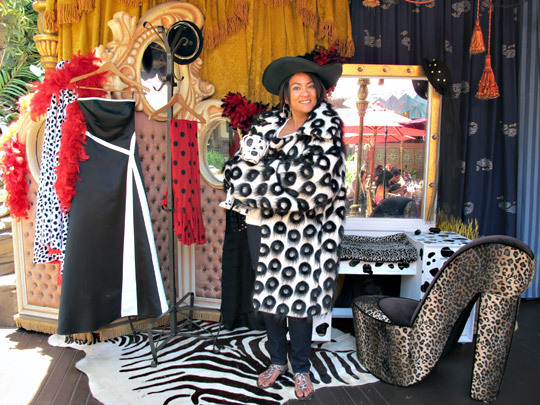 the dr. facilier collection is soooo cooool! Yeah, it’s very pretty. I hope you try the Magically Cool powder! Sure thing, hon! What products are you most excited about? Amazing post 🙂 I like the packaging even evil can look good. Sherri recently posted … Shes Back!!! What do you have your eye on, Sherri? 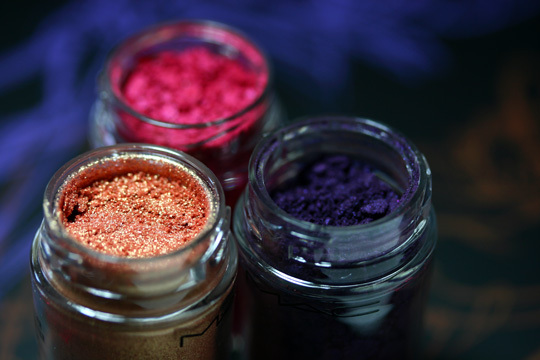 The mineralized eyeshadows and Powder Blush in Darkly My Dear. Thanks for such a fantastic post! Those nail polishes look hot! Which of the nail polishes is your fave, Gio? Great post!! You covered everything, thank-you! Can’t wait to see this stuff in person. You’re welcome, Jessica. See anything you like? Karen, this is amazing! 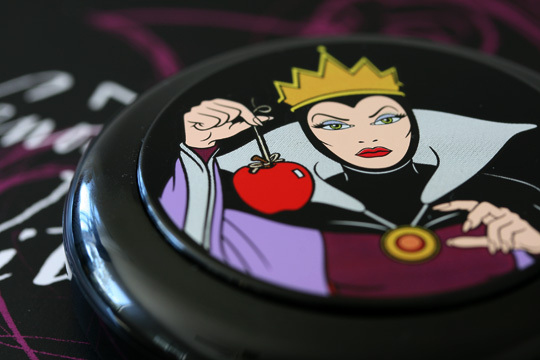 I am loving all of the packaging, especially on the Evil Queen products. Wow! I am so pumped about these! I need those nail polishes and lip glasses for Malifecent. 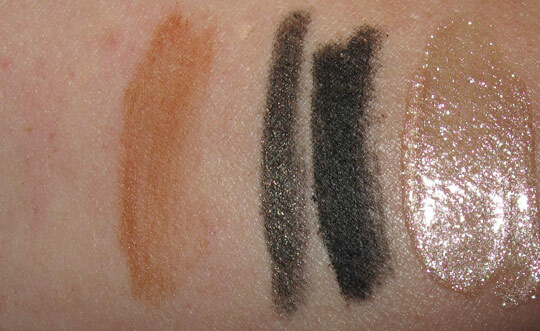 Also the Mineralized Eye Shadows!!! I’ve never been into a MAC collex as much as this one. Time to save! Did you see the Paul & Joe for Disney collection from last year? It’s really cute too! I love this posts… definitely have to re-read it again as there are many products released. 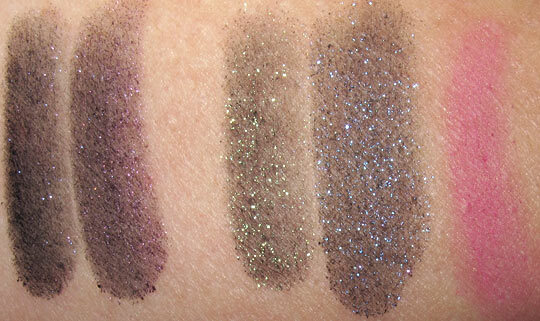 I love the mineralise eye shadows. Wowowowow! 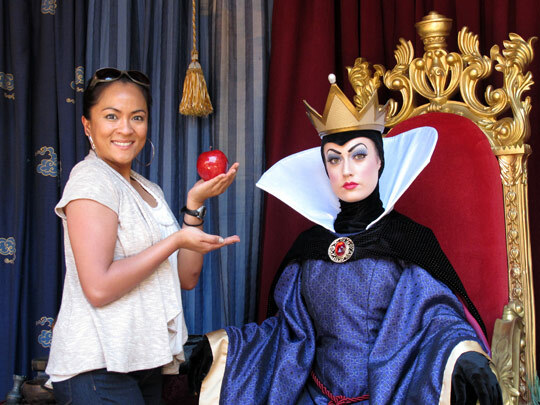 Very cool post and I think everything from Maleficent shall be mine!! I can totally see you rocking Violetta hard! And that is what caught my eye first of course lol! AAAGGGGHHH! That was my first reaction…my whole household thought I was crazy! 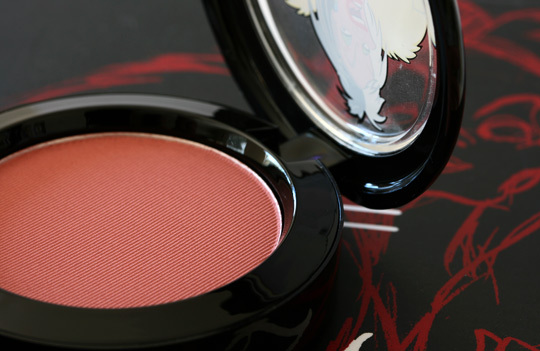 I have to have some Evil Queen beauty powder blushes, glosses, lipsticks and some Dr. Facilier greasepaint sticks, pigments, and lip gelee. OMG Karen, you made my day! You are so funny! 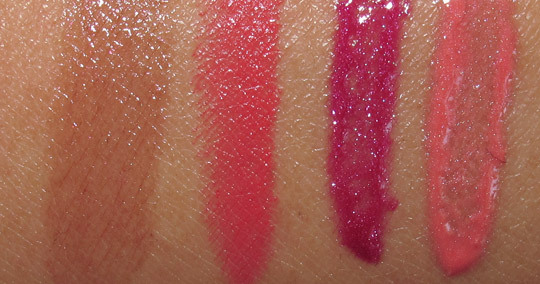 Which of the lip products do you like best? AMAZING post! MUST HAVE EVERY THING!! Im so high on MAC/Disney right now. I’m not afraid to admit it Disney and MAC? This brings two of my favorite things together. 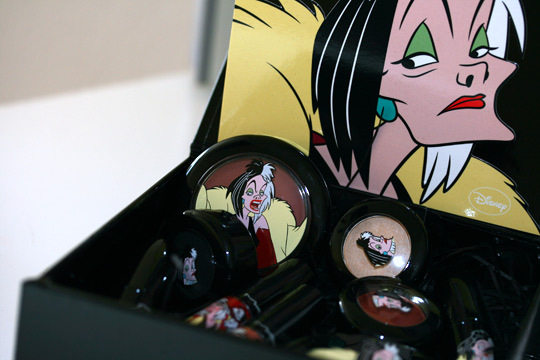 I love the Cruella collection! this post really sparked my interest in the collection. i thought i was going to pass on this. This collection could end badly for my pocket book. I love all the purples, they’re my favorite colors to wear! Rachael recently posted … Bonjour YAll! I loved reading this post! It made me feel like I was there, too! Looking forward to these collections for sure. 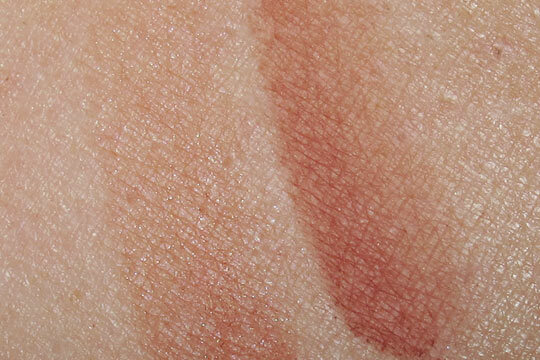 Thank you so much for this, especially swatches in the fairer skin tone (I think I’m NW20)! 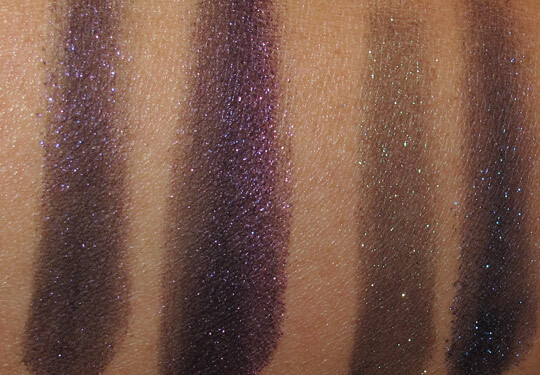 My original pre-swatches list has been changed a lot. I’ve picked out Bad Fairy, Revenge is Sweet, Devilishly Stylish, Wicked Ways, Heartless, Sinister and Oh So Fair as must haves. Though I’m not sure I need more beauty powder. But I want to try Wrong Spell and Resort Life just to see how they work. Though I have a feeling Sinister & Wrong Spell are just going to be too dark for me to pull off. 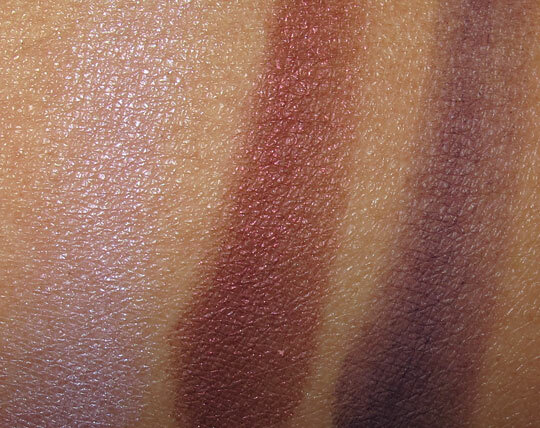 They’re giving me Clinque Black Honey vibes, which is way too brown/plum and washes me out to a translucent white (you can seriously see the veins in my face when I wear it!!!). Karen, you rock the castle! This post was amazing. I am so excited for the launch of this collection. 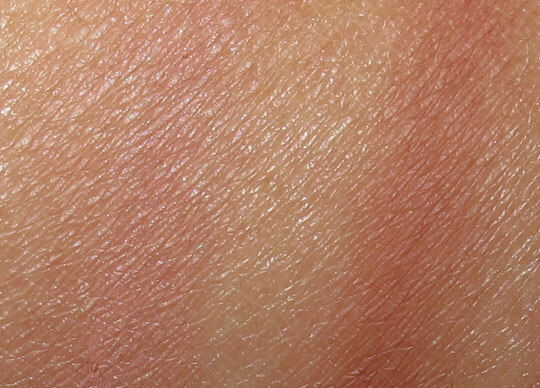 Thanks so much for all the swatches, and for the really interesting background info! is it sad that I want 2 of everything? 1 set to use, and 1 set as a keepsake? Kajal Couture recently posted … New Bobbi Brown Book to be Released This Month! Awesome post Karen! That must have taken you forever! So exciting that you got chosen to go to that event!! This collection looks fun — there are quite a few things I want! The only thing I would change — it would have been so cool if some of the packaging was metal meideval or gothic castle style for the Evil Queen, etc (but no one asked me LOL). Can’t wait for this to come out! BEST mac collection and most imaginative in my opinion! do you agree? 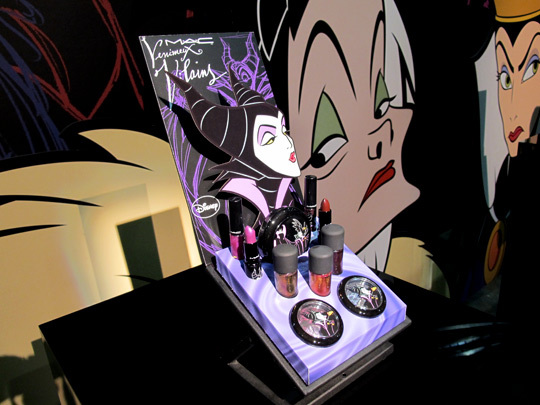 I want all of the Maleficent stuff…love her! OMG! I am ALL over this! Crap, I’d better start saving NOW! I’m going to want it all. Thanks for sharing all of this with us! I know this must have taken a while to put together…it’s so appreciated! Omg!!! I am super excited for this collection to come out!! I want everything! And I am also ready to try this new cooling powder! That would be a great idea for summer! I think I might have to own ALL of Dr F’s collection. It is monumental to have a black princess so anything make up related to the Princess and the Frog has to be tucked away in my make up vanity. 🙂 All of The Evil Queen and Maleficent minus the fingernail polish might just have to be mine, too. Oh my god,WOW im so super excitedddddd!!! ahhhhh!! i cant get over it,i think its gonna be one of the best collections they have had yet,thankyou so much! Dark Deed, Briar Rose, Oh So Fair. I want those so badly!! 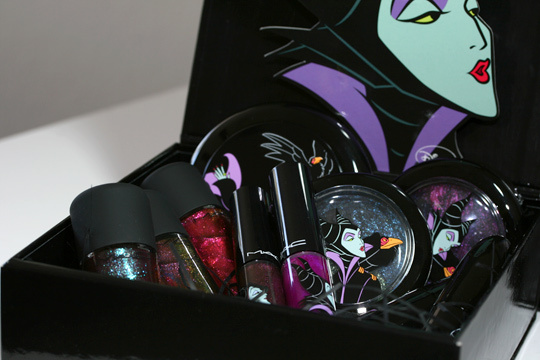 I love the Maleficent collection! The colors are awesome and I can see mixing them with more neutral colors and wearing them ALL THE TIME! Bad Fairy is just a gorgeous nail color. I’m just smitten! Wow….I’m so excited for the collection thanks so much for this sneak peak. I am so ready! Great Review, this belongs in a magazine! My only question is where did you get the shirt and necklace you were wearing in the first few pictures. That multi-colored shirt and matching heels are the bomb.com! 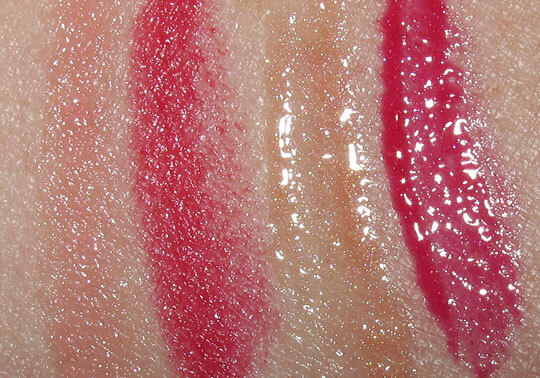 The three red lipsticks look fabulous, I shall have to check them out. 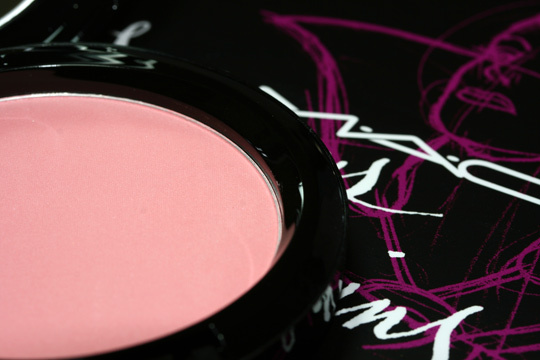 The blushes look quite nice too! Thanks for the preview and it’s thoroughness-now I ‘ll know what to look out for! 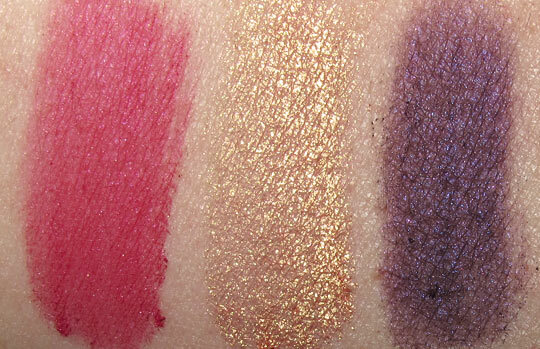 Im so excited to finally see swatches/pictures of the products. 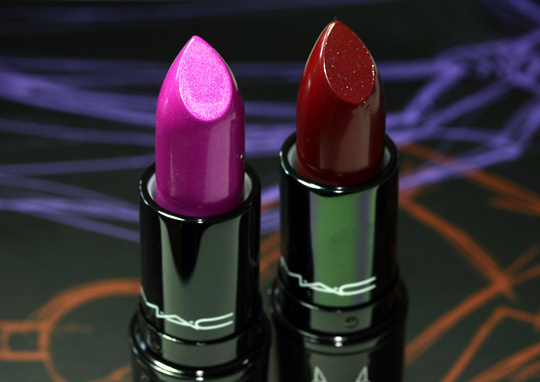 My boyfriend is getting me the entire collection, though Im mainly excited for the lipsticks/lipglass/lipgelees. Especially Violetta and Innocense. Gosh, so close! For the first time in many months (let’s say a couple of years), I love a MAC collection so much that I’d buy most of it! It’s absolutely stunning. I can’t wait to have it here in Italy!!! thank you so much for this great article, karen! I can’t wait to get at least the Magically Cool Powders! 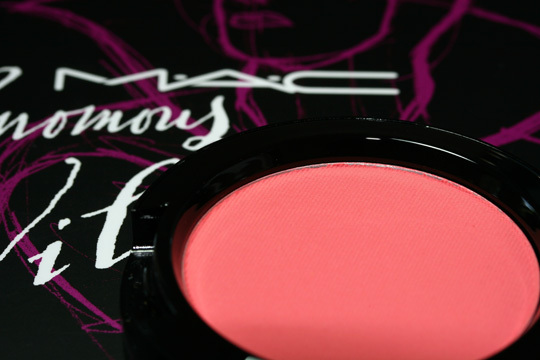 This will be my first MAC purchase, because I just got into makeup. Time to save up! I would love it if they had done an Ursula (truly wicked), Jafar (amazing colors) or Shan Yu (he would have been a WICKED cat eye look) makeup instead of Facilier (he’s too new and wasn’t different enough). I adore Mulan, and I emulated her as a three year old girl, wrapping myself up in my blanket as a kimono and pretending to battle the huns. Now, as a fifteen year old, I would totally wear Shan Yu’s cat eye look, or anything MAC with Mulan. I had a Mulan bath kit at three, and I adored her, because she was a really strong princess. Pretty please, MAC? <3 Loveeee these colors, by the way!! I want to play with all the colors!! I admit it…Make up addict!! But MAC always has such fantastic ideas!! great product and packaging one just can’t help themselves….Color me green with envy that YOU got to play with them all!!! 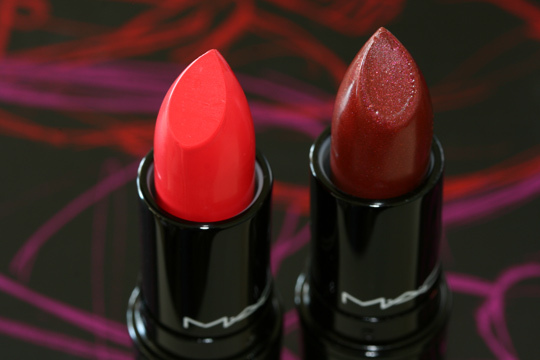 If you have to pick one which one will you choose … russian red or heartless? This post is fantastic Karen!!!!! I love all the background info on this collection. I have decided that I will not have a budget for this collection. I’ve been waiting for a Disney Villains collection for so long, I’m just going to buy anything and everything that I want from it!!! Erin recently posted … News and Reminder! Holy Cricket. I am so happy I could cry. So now I am planning a day trip to the nearest MAC counter with my girl friends. ( We live in a tiny town in Mississippi.) Thank you for the amazing post. 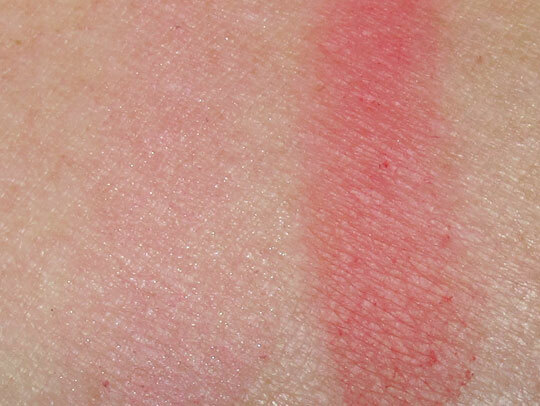 and the briliant swatches. I have booked marked you. have a great monday! 4 days til Friday! Thank you for the truly awesome post. I’m sooooo jealous that you got to attend this 🙂 I loved all the pictures, looks like you had so much fun. Thanks for showing the event as well as the products. I hope I’m more excited when I see the line in real life. I think they did a really poor job on the packaging. It looks like they just slapped on some stickers. I collect an insane amount of Disney (especially Evil Queen and Maleficent stuff) and I have so many items that are duplicates of the pictures used on the packaging. Seems like they took Disney pins and just used those templates. It would be nice to see something a little more grown-up looking and original. Sorry, I’m a harsh critic. Also, I completely disagree with their take on the EQ’s lips. They are red! Always are. Coral is just not evil in my not so humble opinion. Sorry to be so negative, I guess I’m just a little crushed is all. My expectations were pretty huge for this line so I guess I set myself up. But I thank you so much for doing such an incredible job on swatching everything. Absolutely amazing of you to put in all this work. I truly thank you!!!!!! 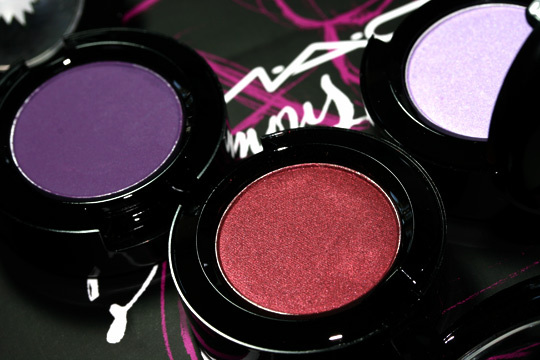 awesome :)))) your post is the only post I’ve read with full details of the MAC Venomous Villains collection. Thanks a lot for the effort to take such close up pictures! Can’t wait for the collection to be out! When exactly is the release date? OMG… so excited. 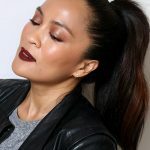 I was just at the MAC counter today and I’m on their call list when this collection is available for orde… Lovin the Resort Wear Lip Gelee and the Melon pigment. 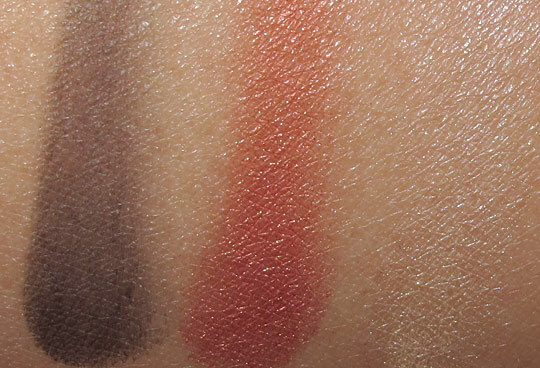 I also really like the Bite of an Apple cheek color and the Sweet Joy eyeshadow… Ahhhh… I love the softer colors of this collection. Such a great balance! I can really tell they took their time planning this one. Hey Karen, I was wondering which products you think are the stand outs for this collection? 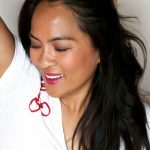 great and very detailed post… but I’m overwhelmed. I thought I knew what I was going to get, but now…. no idea. I’ll have to play and swatch on my own. Then I’m down with MAC collections until January… LOL gotta save some money. OMG, I think mu christmas list just doubled in size and my end of the month paycheck just went out the window. I love the Dr. Facilier look!Can you find the color/face chart for that! loooooovvvee it! Thats a cool line. 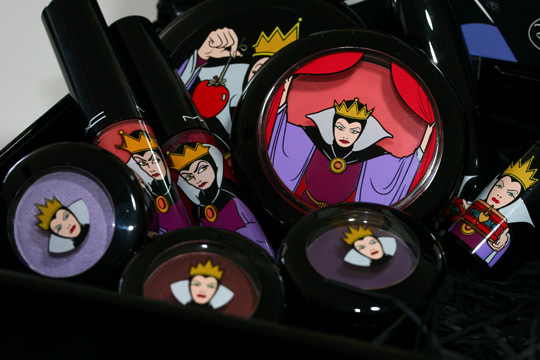 I think mac should get a snow white mac make up set. i would sooooo get all of it.lol. As a huge Kingdom Hearts fan, I am bloody hyperventilating. HEARTLESS. 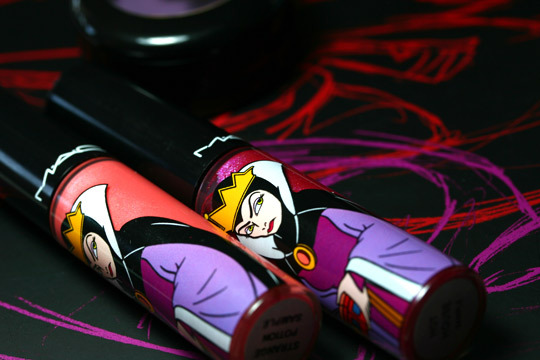 MUST HAVE, if for no other reason than that it’s called “Heartless.” Maleficent is my favorite Disney/KH villain; I’ve been looking for almost the exact shade of “Revenge is Sweet,” and purple is my favorite color. EEEEEE. Totally fond of Maleficent 😉 thanks for all these details ! So glad that you found this helpful and that you’re loving Venomous Villains! Please stop by again soon! help me! i dont know how to use vile violet! I am going to stage a protest to bring back the “Despicable Me” villain Vector Perkins. I personally really like him, and it’s not fair that he has to not be shown on the second “Despicable Me” movie! If you movie makers think that I will accept this “Vector-loss” as I call it, you are TOTALLY MISTAKEN!!!!!!! !